This is the second installment of a series highlighting TV industry thought leaders who spoke at or attended WideOrbit Connect 2018. Check out the previous interview with Al Lustgarten here or watch all of the interviews at Beet.TV. Exchanging data with other business systems and transacting ads over multiple software protocols have created operational challenges for station groups in the highly fragmented and competitive broadcasting industry. The myriad packages for facilitating transactions, producing sales proposals, and assessing financial performance don’t always play nicely with one another. Now the industry has taken up software integrations as a major priority. The dream is for transaction platforms and traffic data to becoming less siloed thanks in part to te broadcaster-driven TV Interface Practices (TIP) Initiative. VP of Platform Services at WideOrbit Tim Swift is charged with improving WideOrbit software compatibility with other critical business systems. His team is devoted to facilitating third-party integrations for WideOrbit clients, including for customer relationship management and business intelligence solutions. 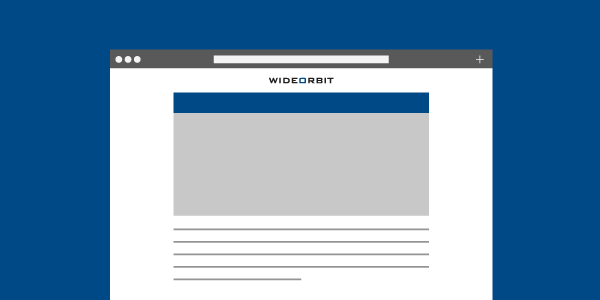 Learn more about the WideOrbit Platform Services team here and check out our recent statement of support for the TIP Initiative.